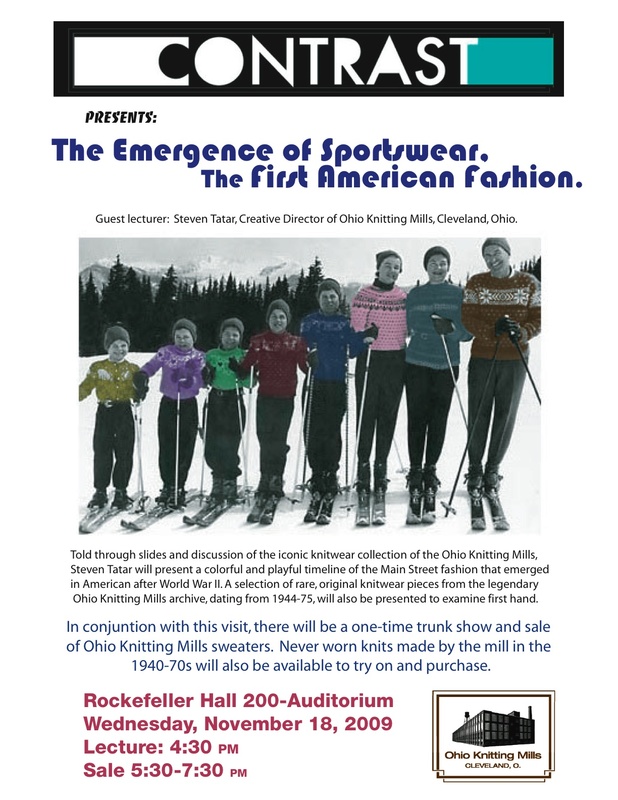 Contrast is hosting a lecture today featuring Steven Tatar, Creative Director of Ohio Knitting Mills. 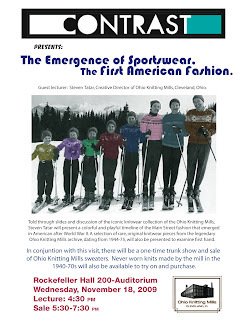 Today (Wednesday) at 4:30pm in Rocky 200. A sale will follow from 5:30 to 7:30pm.